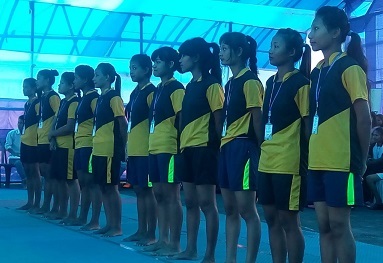 Bodoland University for the first time has organised an inter-college sports meet in two disciplines – football for boys and kabaddi for girls. The meet was kicked-off on Monday at the Bodoland University campus here. The three-day sports meet will conclude on June 27, 2018. Out of 28 affiliated colleges under Bodoland University as many as 17 colleges from the four BTAD districts have participated in the Inter-college sports meet, 2018. The Council Head of the Department of Sports and Youth Welfare, Jajnabati Basumatary attended in the opening ceremony of the sports meet as the chief guest and formally inaugurated the event at Bodoland University campus in Kokrajhar. In her speech, Basumatary said, “This is the right time to college students to explore their talents and skills in the sports meet and to reach higher level in sports career along with studies.” Basumatary also urged the Bodoland University authority to organize sports in all disciplines in the days to come. Besides, controller of examinations, BU, Bhirpung Narzary, other staff members of the University and sports officials of the events were present in the spots meet.